So you want to know a bit more about what we do at the unashamed meetings and what we have looked at...well enjoy, be challenged, and know that as you let God open your heart for those around you He will make you a "fisher of men..."
It was a great blessing to be joined by Jacob Bock, director of ONTHEREDBOX, Madrid, for our Unashamed training in October 2018. Jacob brought us excellent teaching which encouraged, challenged and inspired. 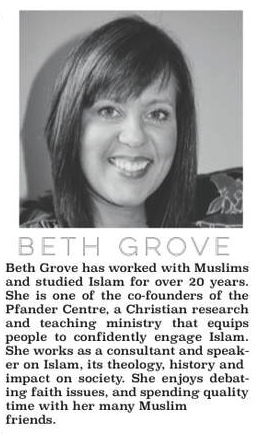 ​We were so pleased to have Beth Grove, of the Pfander Centre, at our last Unashamed training session in March teaching on Engaging Islam, that more Muslims might come to know the Jesus of the Bible. We had a very practical, workshop-style training session on using Illustrated Messages to share the gospel. This was for everyone, whether they had never shared an Illustrated Message before, or whether they regularly do so. The principles considered can be used to share truths about Jesus on the red box or over coffee with a friend. The aim of the session was to sharpen each other and grow our skills and confidence in sharing the gospel in any setting. After the training, we headed to the street in Ealing Broadway for a time of outreach. 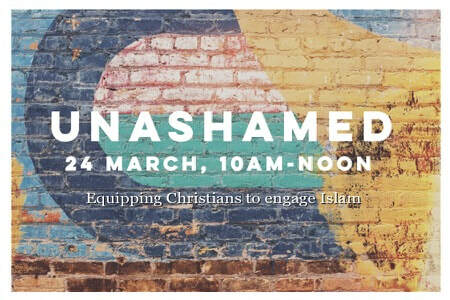 We took a whistle-stop tour through some of the highlights of the past 2 years of Unashamed, stopping to reconsider characteristics of a soul winner & spiritual disciplines, refresh ourselves on the Holy Spirit’s role in evangelism, the impact that the Cross has in sharing our faith, and “aiming” for the heart. Though it was a lot to cram in to a Saturday morning, we feel it right and important to revisit and refresh ourselves as we seek to be Jesus’ witnesses in our communities, workplaces, schools, and families. Thanks for joining us! Sarah also taught us some helpful basic BSL signs to help us to share the gospel with deaf people in the 10 minute Bitesize slot. Our 'Bitesize' slot this time around was on witnessing to a friend in an informal setting like a cafe or restaurant. You can use a scrap of paper or a paper napkin! 4. So where are you on the drawing...separated from God?, unaware of the bridge made by Jesus? Gareth and local Pastor Stuart Shackleton led a discussion on what it means to be a disciple and how evangelism integrates with this. We also examined the role of the Church in reaching the lost and growing the believer in their faith. We also looked at the word Discipulus: latin for a learner, a follower...one who has a radical commitment to a lifestyle submitted to following Christ. In Mathew 28 we looked at the great commission and the fact that the imperative/verb is not "Go!" but "make!". So we could say "as you go, MAKE disciples of all nations". So we should be disciplining people into a faith in Christ as their Saviour and onward into maturity in that faith. 28 We announce the message about Christ, and we use all our wisdom to warn and teach everyone, so that all of Christ’s followers will grow and become mature. 29 That’s why I work so hard and use the mighty power he gives me. So evangelism is not greater than discipleship but is part of the discipleship journey. Our 'Bitesize' slot this time around was on witnessing to Jehovah Witnesses. An excellent talk by James who was dad was a JW and so spoke from real experience and love for JW's. Romans 10:1-4. 1. We are at war but not with JW's. It is the spiritual forces behind the deception. The Watchtower Bible and Tract Society. 2 Corinthians 10:3-5. 2. Engage in spiritual "hand to hand" rather than "trench warfare". Get to know them and show compassion and patience. 1 Corinthians 9:19-23. 3. Ask questions to provoke them into pondering what they believe in and where it originates from. John 5:39-40. 4. Introduce them to the real Jesus. Hebrews 1:2-4. 5. Be prepared to offer support to a JW who comes out of the society. 2 Timothy 2:24-26. Gareth presented a challenge to aim for the heart in speaking with people. A copy of the slides is attached below and he covered why is the heart so important. If we stop to think about it, the heart is the motivation for what we do, expresses love and sensitivity, reveals our values, drives our actions, place of decision and desires. In ancient times the gut was thought the core of our being which we now attribute to the heart. Many references in the Bible from God, Noah, Pharaoh, David, Ezekiel, Jesus as well as many references. 1. The Law is written on the hearts of men and women. An understanding of right and wrong. 2. Eternity is also written on our hearts. A desire not to die. Finally Gareth shared some useful questions as a model from ontheredbox not as a formula but purposeful. 1. Can I ask your opinion? 2. Do you think many or few people will go to heaven? If you don't believe in Heaven, suppose it exists, do you think many or few will go? 3. Do you think you will go to heaven? why/why not? 4. On judgement day, God will judge us by His laws, such as the Ten commandments. Do you know them? 5. Have you ever...? (ask about 3 or 4 of the commandments and give practical examples). 6. Will you be innocent or guilty. Where do the guilty go? 7. Does that worry you? (if there is no conviction, remind them of the urgency of eternity and end the conversation). 8. What would you think about a person willing to receive yur punishment so you could go to heaven? 9. Repentance toward God and faith in Jesus Christ. Our theme for March was "Tough Questions". Martin led us through 5 of these 'tough' questions that are sometimes difficult to answer as a Christian. As Unashamed is all about equipping you to share your faith, we got into groups and each group was assigned one of these questions thinking about how best to answer it. It was very encouraging to hear what each group came up with. Someone who was leading each question through then gave a 'model' answer to help us think further on the issues. 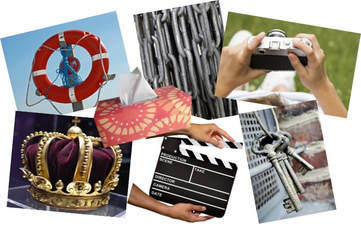 -Focus on the main issues...God, Jesus, salvation through faith. Martin's talk laid the Biblical foundations of being fishers of.. and the call to share the good news of the Gospel of Christ. Martin also called us to read our Bibles all the way through lest our witness is compromised. 2013 Martin gave a talk on authenticity. "What we lack of our religion is we do not know God" Andrew Murray. > Challenge - what about you? bus stop, on a tube, in the street, etc. expand on it to suit the context. - Short, sharp and to the point.